Open AnyRecover and choose the “All-Round Recovery” mode. If you are unable to find your lost data using other modes, you can search out more files with this mode. 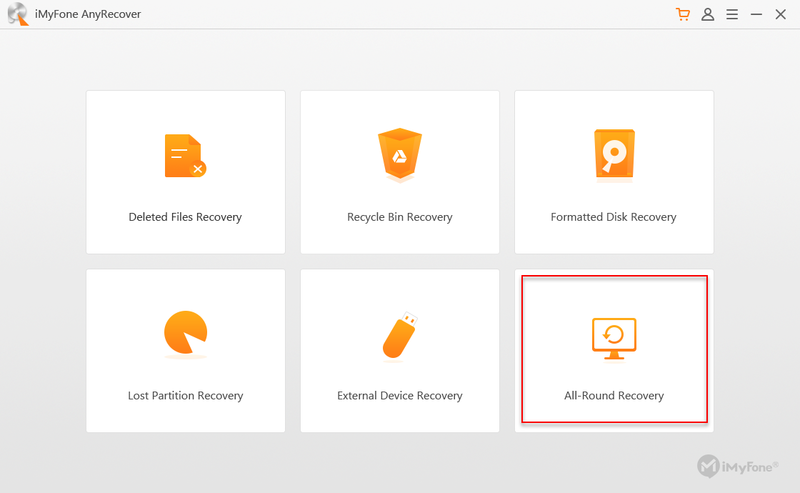 Once you pick the “All-Round Recovery” mode, choose a location from where you may have lost your data – a folder on your computer, a hard drive, or an external storage device. Then click on "Next" to continue. Select the type of file you are looking for and hit the “Scan” button to begin the scanning process. It will now scan and find the missing data among the files on your computer or an external storage device. This mode will require more time to complete the scanning process. 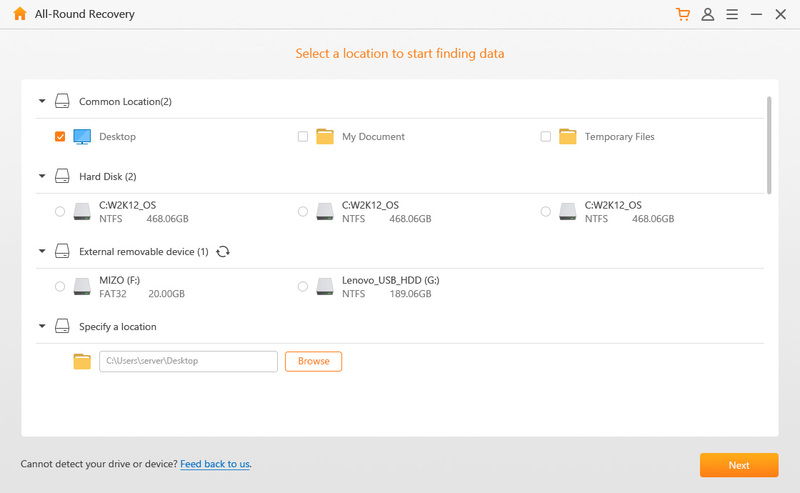 If you are still unable to locate your lost data, you can use the “Deep Scan” method to find the lost data on every corner of your system or storage device. Once the scanning is done, you can switch between the Tree view or File view modes on the left-side panel to find the data you need and preview each file by double-clicking. 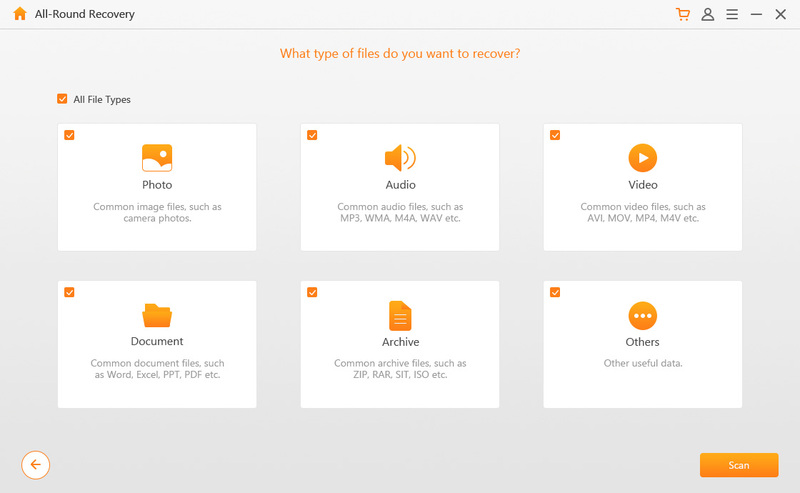 Once you’ve located the missing file, hit the “Recover” button to retrieve it. Please note: Do not save the restored files to the location from where they went missing.